Facade design requires the balance multiple different performance metrics like energy, daylight, glare, comfort and more. It is the art of being able to bring in the appropriate amount of daylight to not impact the HVAC system, but increase the comfort level for added productivity. For this hospital project, the patient rooms were all south facing. 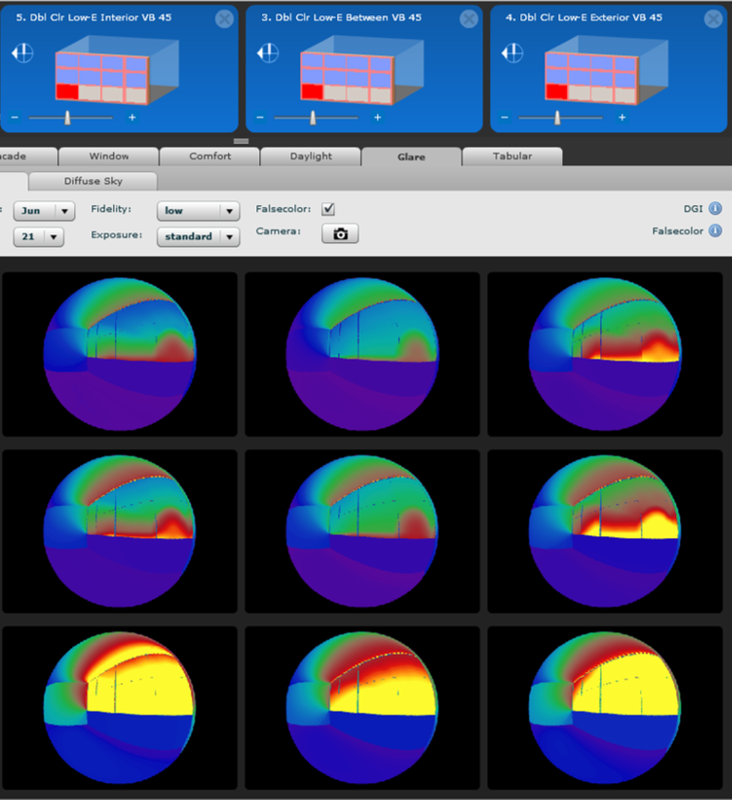 A facade analysis was used to determine the effect of varying shading devices on overall energy use, interior daylight and patient comfort. This study shows the facade design study of a confidential lab building. These are only a few Typical services, but we understand that different projects need different analysis for decision making. Contact us to discuss your specific project, so we can generate the most cost effective analysis for you.